Dr. Peter Hall opened Portland Eye Care in 2003 and since has been providing dedicated services to the greater Portland area. 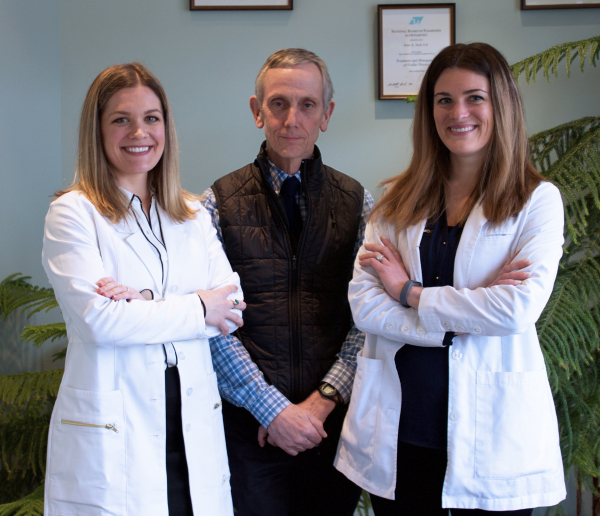 Optometrists and sisters, Dr. Leah and Dr. Alex Grotton recently purchased Dr. Hall’s practice in February 2018 and are looking forward to collaborating with Dr. Hall to continue to provide you with the best care possible. At Portland EyeCare we utilize new technology to diagnose and treat ocular disease earlier than traditional methods. Because your eye health is important to us we perform a complementary retinal scan on every patient. This wellness test detects glaucoma, and macular degeneration early. Other offices charge upwards of $40 for the service. It is included in every patient’s annual eye exam.